Here are links to online information specific to gardening in upstate New York State, though most New Yorkers will find help here. A map which shows the average date of the last frost in spring. 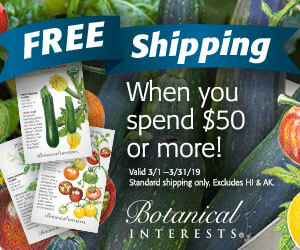 Use it to help plan when you will transplant plants that are not frost-tolerant. "This web site is a survey of the natural area within a 25 mile radius around Cortland, New York, USA. Every species you see on this site has been found within the 25 mile limit shown here. It is bounded by Syracuse to the north, Ithaca to the west and Binghamton to the south. My intention in creating this site was to reveal the abundance and diversity of life, the hidden beauty that exists in such a relatively small geographic area." The Digital Librarian's collection of links for Central NY, "with an emphasis on Cortland and the surrounding area." This link takes you to the section on gardens, but the DL's collection ranges over a wide variety of topics. Disease-Resistant American Elms, Making Maple Syrup, Soil pH, Tent Caterpillars, Use Native Plants and Explore Your Watershed are some of the informative topics available from this site. A lot of handy information in one spot: state hardiness zone map (showing counties), average last spring frost date, average first fall frost date, etc. Your portal to gardening information at Cornell. 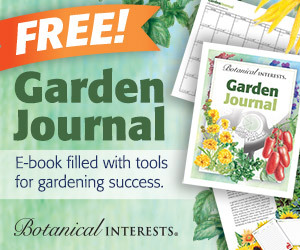 This is the place to go for garden information specific to NY state. All sorts of fact sheets, pest information, master gardener program, invasive plants--too much to list. This is the USDA Hardiness Zone map, enlarged to show detail.
" landscapes are often environmentally insensitive in a variety of different ways. They generally require more maintenance, chemical fertilizers and pesticides, and supplemental irrigation to achieve the desired aesthetic effect. These practices can contribute to a number of current environmental problems, from air and water pollution to consumption of fossil fuels. . . . By utilizing local plant species and arranging them in ways which imitate local ecological communities, natural landscapes usually require less maintenance and are substantially more environmentally sensitive." This webpage gives an introduction to creating a more environmentally sensitive landscape. "The NY Natural Heritage Program enables and enhances conservation of the state's biodiversity by delivering high-quality information from field inventories, expert interpretation, and the most comprehensive database on New York's distinctive biodiversity. The following conservation guides are designed to help land managers, decision-makers, planners, scientists, consultants, and the interested public better understand the rare species and natural communities that characterize New York." They have plant, animal, and community guides. A whole site devoted to upstate NY gardening, with Rochester as the center of its universe. Syracuse-based horticulturalist and landscape designer Terry Ettinger offers information on a variety of topics: lawn care, pernicious weeds, lilacs, overgrown evergreens and more. His home page focuses on a featured plant and a question of the week.